This Female Upper Torso is a perfect Blouse and Shirt for that looks great and is perfect for jewelry and clothing. 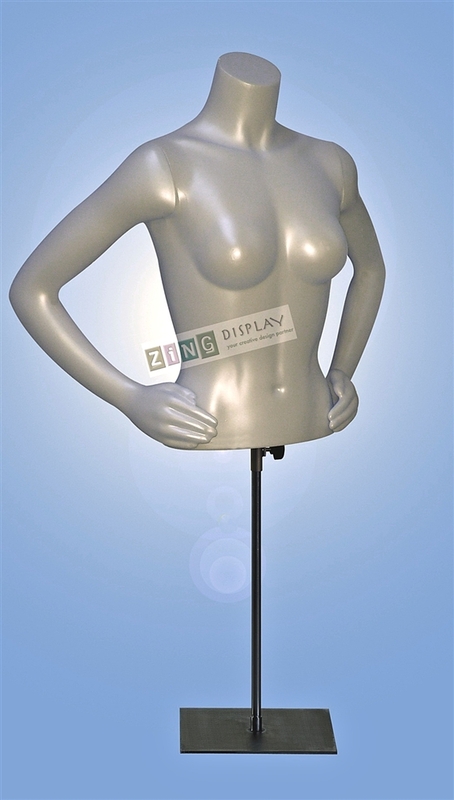 This nice torso form can quickly add flare and style to your blouse displays. This form is color infused in white plastic and will not break, crack or chip. It is light-weight, will not scratch and is recyclable. 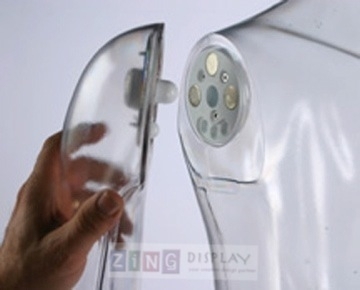 Arms attached with magnetic arm plates for easy dressing and handling. Can sit on tabletop or pop it on the stand that is included. Either way it is a big seller and well like by our clients. Female 16.5"	34.5"	24.5"	33"	24" 8.25"